We are committed to maintaining confidentiality and personal privacy. Collection, use, disclosure and retention of personal information is subject to, and must comply with, the provisions of the BC Freedom of Information and Protection of Privacy Act (FIPPA). The purpose of this privacy notice is to describe our practices regarding personal information use and collection through this website. We do not automatically gather any personal information such as your name, phone number, e-mail or address. Personal information is only obtained if you supply it voluntarily through this website in certain circumstances, such as when you send an email message to us or complete a membership application, questionnaire, form, or other on-line survey found on our website, or to receive electronic newsletters or other information. We only use the personal information you provide to us through this website for purposes consistent with its collection. Please note that we do not disclose, give, sell or transfer any personal information about our website visitors unless required for law enforcement or otherwise provided for by law. Under this legislation you are also entitled to access and correct any of your personal information that is within our custody and control. You may make such requests by contacting the privacy representative listed below. We reserve the right to update this policy at any time. Users are responsible for reviewing this document periodically for changes. What kind of information is being automatically collected and how is it used? We do not regularly use “cookies” to track how our visitors use the site. Whenever we enable “cookies” to facilitate our transactions, we will first inform you. Some of our web page however uses “cookies” which are small amounts of information stored by your web browser software on your work station. Cookies are designed to track browsing history on a website generally for the convenience of the user. They help the website “remember” what areas of a website a browser has accessed or used previously. Cookies can, however, be misused, and have become a privacy concern for some because they can be used to record and analyze an individual’s broader browsing history. This site operates on ‘implied consent’, which means that by visiting and clicking through the site, we assume you agree with this usage. If you do not agree, then you should not use this site, or you can delete the cookies after visiting this site, or use your browser’s anonymous usage setting (called “Incognito” in Chrome, “In Private” for Internet Explorer, “Private Browsing” in Firefox and Safari). It’s important to know that cookies are plain text files and cannot execute files or make copies of themselves. They do not carry or deliver viruses and cannot scan or retrieve your personal information. The pages visited within the site. The address of the referrer website. The search term(s) used to find the site (if referred from a search engine). We collect this information for statistical purposes and for evaluating our website to make it more useful to visitors. We use IP addresses to generate geographic-related statistics, and to help administer the site, in general. We make no attempt to link addresses with the identities of individuals visiting our site. Information collected by Google Analytics is retained indefinitely. Mind The Bar Foundation is obligated to protect your personal information by making reasonable security arrangements against such risks as unauthorized access, collection, use, disclosure or disposal. 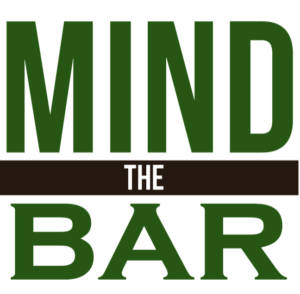 Security measures have been integrated into the design, implementation and day-to-day operating practices as part of Mind The Bar Foundation’s continuing commitment to the protection of personal information it holds. Information sent to our website over the Internet is not secure. This means that if the visitor uses the Contact Us page, or other e-mail addresses published on this site, to send an e-mail, the information provided may be intercepted as it travels to our website. We will not be responsible for any damages suffered by individuals as a result of the transmission and information that is sent to us or for any errors or changes made to transmitted information.